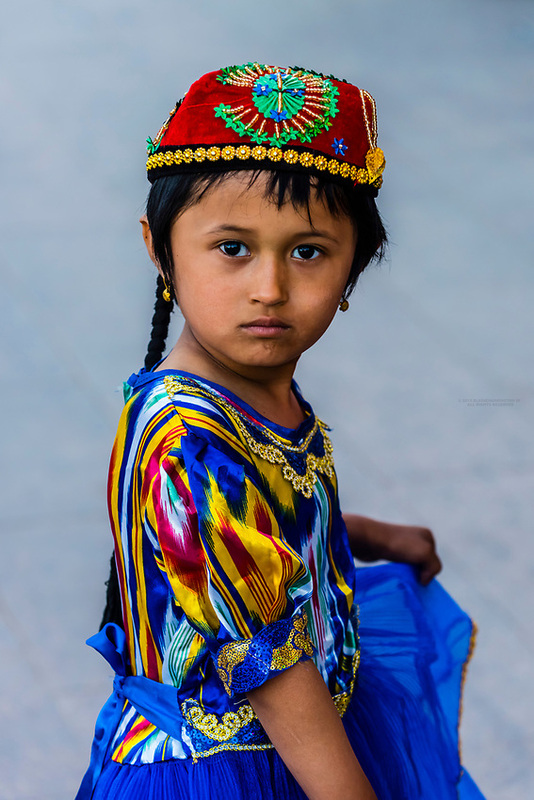 A Uyghur girl wearing traditional clothing, Turpan, Xinjiang Province, China. Turpan is a small oasis town and former Silk Road outpost. Uyghur people are a Central Asian people of Muslim Turkic origin. They are China’s largest minority group.